The possibilities of a manual pre-wash increase the attractiveness of your wash unit. 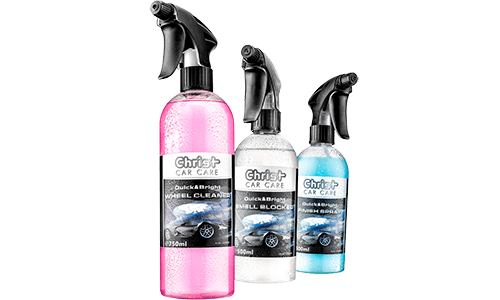 Heavily soiled vehicle areas can be pre-washed by the wash customer before the actual automatic wash. The instruction sign informs your wash customer of the five steps necessary for operation. 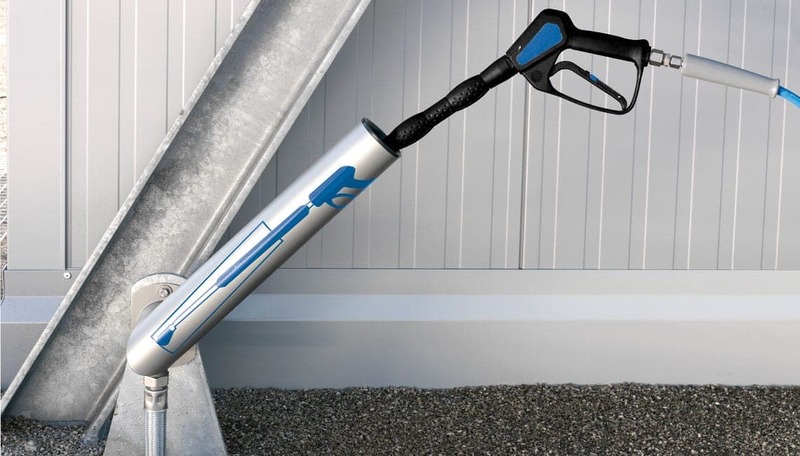 The deck rotary ensures easy handling of the high-pressure hose and lance around the vehicle. 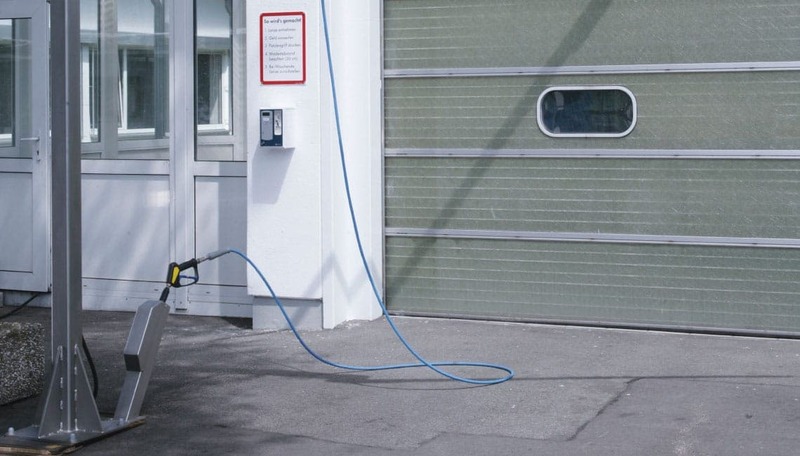 solution in turn keeps the high-pressure hose out of the path of the car wash entrance. The supply device works with a powerful 85 or 120 bar. requirement in or in front of the wash hall, high-pressure hose in vehicle area. With flange plate, completely galvanized. Height of gallow 3.370 mm, Bracket arm 2.300 mm. 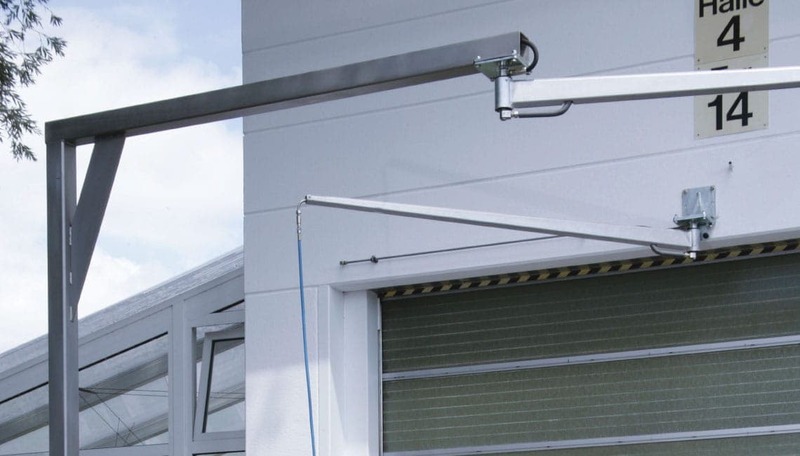 The bracket arm can carry either a single deck or a double deck rotary head. Shock proof plastic casing for wall mounting, clear text display for indication of sum of money. Operation duration can be individually adjusted by means of a timer control. Clear pointers instruct the wash customer on how to use the equipment. Pistol in frost safe design, length 650 mm or 1.050 mm incl. high-pressure hose. Up to 25% savings on heating substances = fuel through the employment of condensing boilers (fuel saving technique). Additional savings potential by employing solar collectors for warming water. Up to 80% savings on fresh water (and respective drainage water fees) for wash programs hot wax and gloss rinse (osmosis) via the Christ low-pressure application process. Up to 45% savings in electricity costs for high-pressure supply devices. Increased life duration of high-pressure supply devices and improved running smoothness via slow running. Frequency conformer can be additionally combined. Swivel range 180° incl. wall bracket with stop buffer. High-pressure line made of stainless steel, surface mounting. The C-rail is mounted on wall brackets. 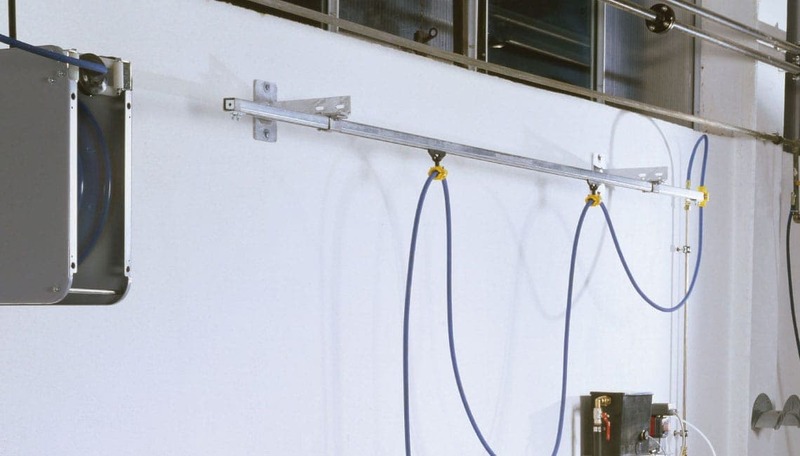 The high-pressure hose is guided by individual towing vehicles. For outdoor installation, feet can be selected for floor mounting. Made of galvanised sheet steel incl. swivel bracket for wall mounting. Also included is a high-pressure hose with stop ring. 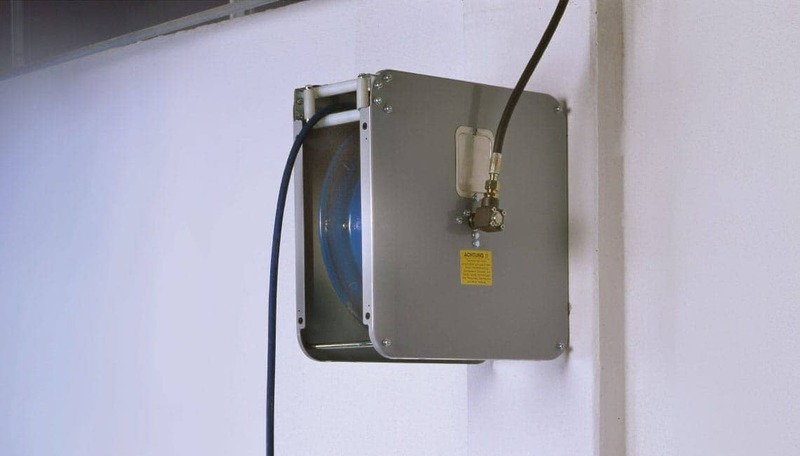 Optionally with drain opening or with drain socket for connection to a drain pipe provided by the customer.